A Javan Mynah, a starling native to Asia, managed to hitch a free ride on Singapore Airlines. The bird traveled in business class from Singapore to London last Monday. According to a video, the bird used the headrest of one of the business class seats as a perch. When a flight attendant tried to catch the mynah, it flew away. We do not know how the bird got on the airplane, or where it was hiding the first 12 hours of the flight. Birds do not board airplanes very often; however, it has happened in the past. In 2017, a very small bird, which was believed to be a hummingbird, forced the air turnback of a Delta Airlines Detroit to Atlanta flight. The bird was first seen in the cockpit before the flight but could not be found again. The pilot assumed that the bird had left, and the flight took off. A few minutes into the flight, however, the bird appeared again and was seen flying around the cockpit. At this time, the captain decided to return to Detroit where the bird was caught and set free. In 2018, a bird traveled from Bangkok to Doha on Qatar Airways. Apparently, the bird had been hiding in the overhead bin but got bored about four hours into the flight. Accordingly, it decided to fly around the cabin. Nobody was able to catch the bird, and it continued to fly up and down the aisles for the last 2 ½ hours of the flight. It is not clear what happened with the bird once the aircraft landed. Singapore Airlines operates Flight SQ322 on an Airbus A380-800. The flight departs from Singapore Changi at 11:55 pm and arrives at London Heathrow at 5:45 am. 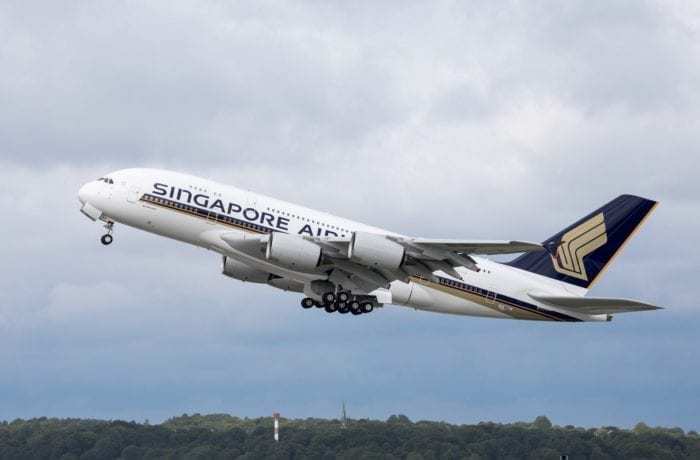 Singapore Airlines currently has 19 A380s in its fleet. The airline utilizes three different layouts for the aircraft. The first layout provides a total of 441 seats in 4 classes (12 first class, 60 business class, 36 premium economy, and 333 economy class). 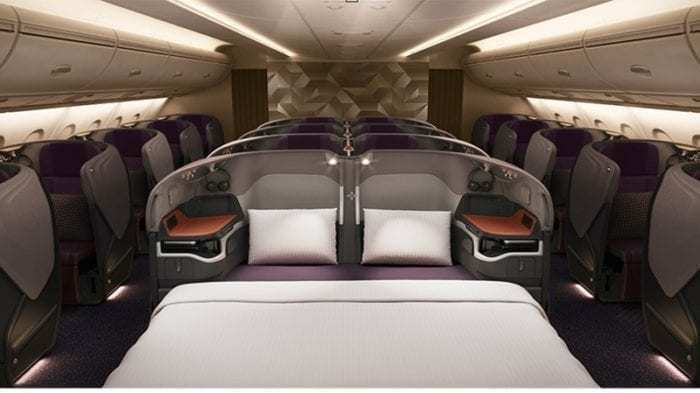 The second layout offers 379 seats in 4 classes with an all business class upper deck (12 first class, 86 business class, 36 premium economy, and 245 economy class). The third layout is the newest one, and the older aircraft will be retrofitted to this configuration by 2020. It provides 471 seats in 4 classes (6 first class, 78 business class, 44 premium economy, and 343 economy class). SIA New 380 Business Class. Photo: Singapore Airlines. 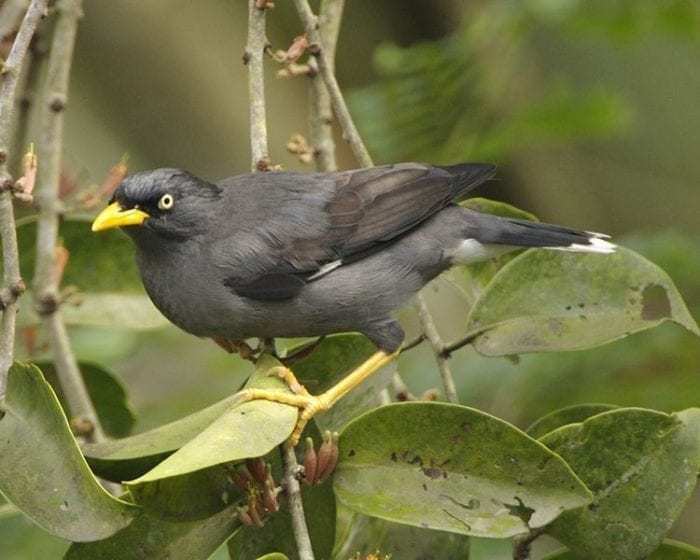 We must admit that the Javan Mynah definitely traveled in style. It chose one of the world’s best airlines for its journey. Even better, it was able to fly business class. What was the craziest thing you have encountered on a flight?